Knut Hamsun (1858–1952) was a Norwegian novelist, poet, and playwright hailed by many as one of the founders of modern literature. Born to a poor peasant family in central Norway, he worked as a schoolmaster, sheriff’s assistant, laborer, store clerk, farmhand, and streetcar conductor in both Scandinavia and America before establishing himself as a successful playwright and novelist. His first novel, Hunger (1890), was an immediate critical success; he went on to write the novels Mysteries (1892), Pan (1894), Victoria (1898), and The Growth of the Soil (1917), the last of which earned him the Nobel Prize in Literature in 1920. Sverre Lyngstad (1922–2011; translator, introducer, notes) was a scholar and translator of Norwegian literature and Distinguished Professor Emeritus of English and Comparative Literature at the New Jersey Institute of Technology. 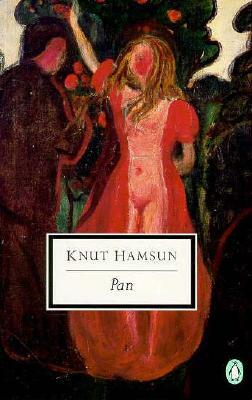 He translated five of Knut Hamsun’s works for Penguin Classics—Hunger (1890), Mysteries (1892), Pan (1894), Victoria (1898), and The Growth of the Soil (1917)—and was honored by the King of Norway with the St. Olav Medal and with the Knight’s Cross, First Class, of the Royal Norwegian Order of Merit.